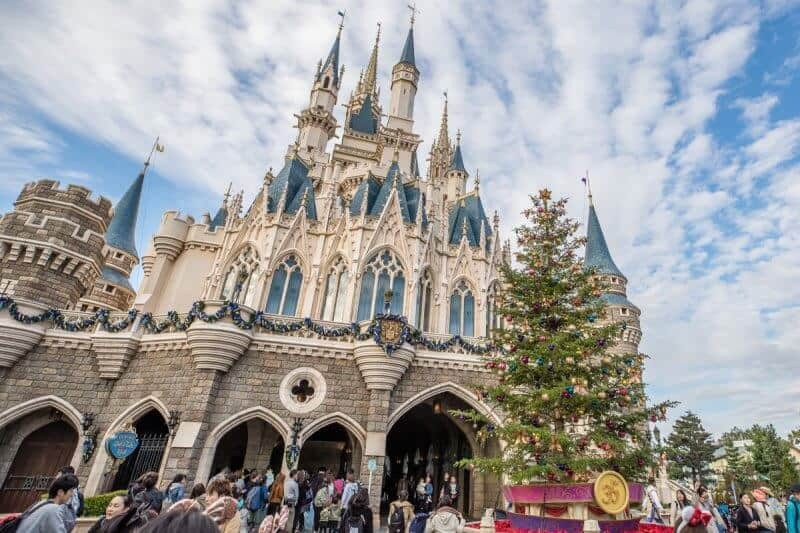 Christmas at Tokyo Disneyland and Tokyo DisneySea is a special time of year for me. It was the first event I got to experience when I bought my first annual passport in 2013. 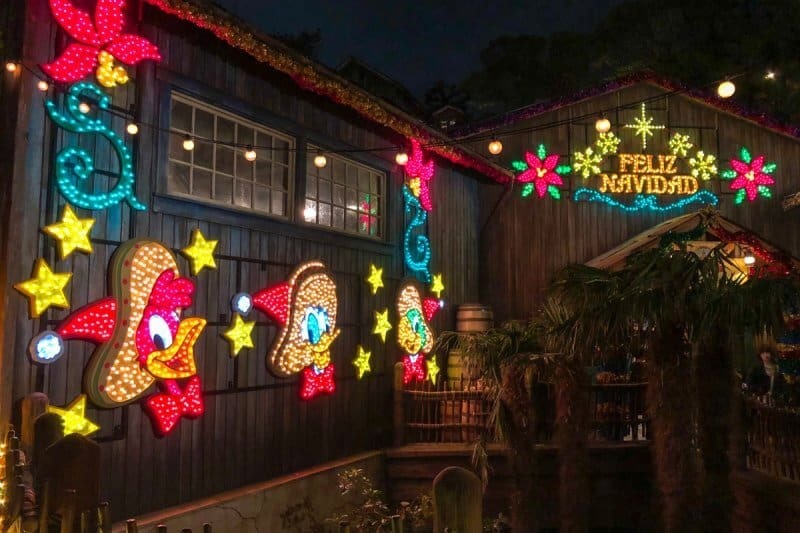 Both Parks do a tremendous job capturing the Christmas spirit, even though the holiday isn’t celebrated as it is in other areas of the world. My heart is filled with joy whenever I walk through the turnstiles between the months of November and December. 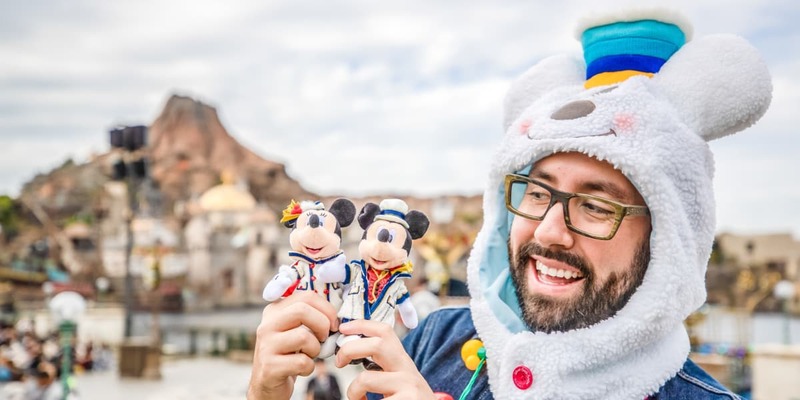 This guide highlights the best aspects of this magical time of year at Tokyo Disney Resort, including what to expect for weather and crowds, and features my tips and recommendations to make the most out of your trip. 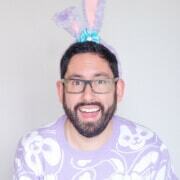 And most importantly, find out what to eat and what merchandise to buy! (At least it is important to me). 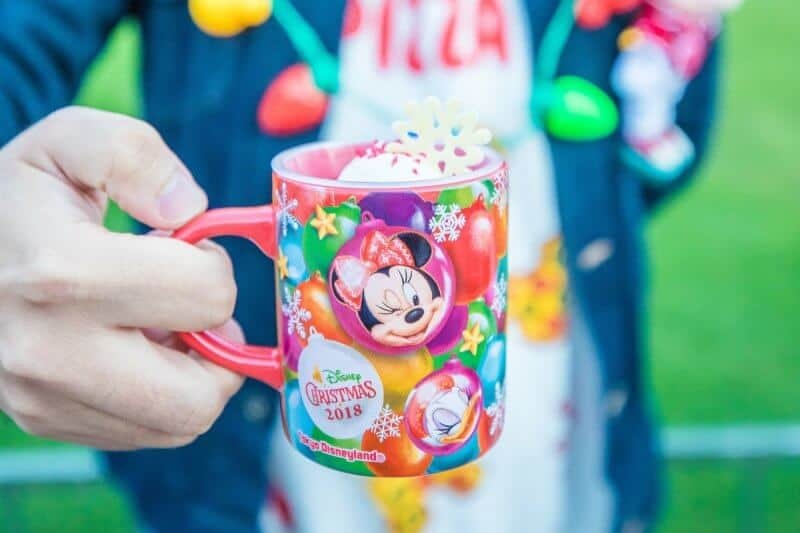 Disney Christmas runs November 8, 2018, until December 25, 2018, at Tokyo Disneyland and Tokyo DisneySea. The Haunted Mansion Holiday is a limited-time “Nightmare Before Christmas” overlay running from September through the first few days of January. The best time to visit is in November, when the weather still fair at 12°C (54°F) on average. December becomes much colder with an average of 8°C (46°F) and sometimes drops below 0°C (32°F) in the evenings. Another time to avoid is the dates around “7-5-3 Day” on November 15. While this isn’t a public holiday, a lot of people head to the Parks around these dates to celebrate. Read my detailed posts about visiting in the months of November and December. If you time it right, you can experience both Halloween and Christmas on the same trip (as a split visit). Halloween ends on October 31 and the Christmas event typically starts around November 8 (depending on the year). While the end of Halloween is a busy time at the Park, the beginning of the Christmas event and a few days before it begins is rather quiet. 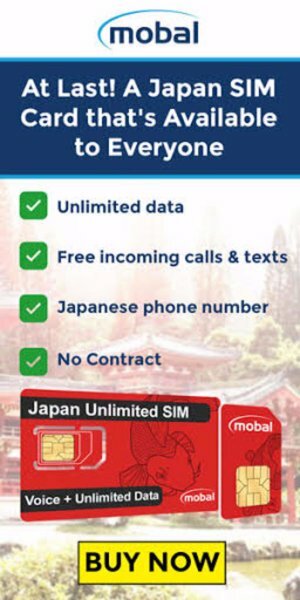 This gives you ample time to tour around Tokyo and other parts of Japan. 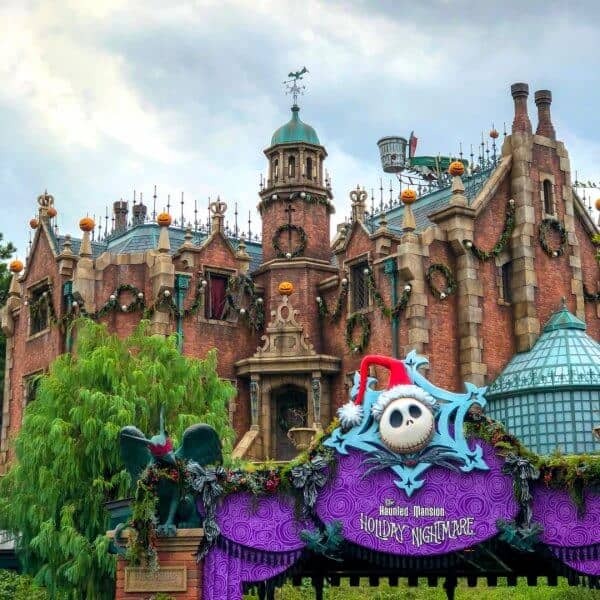 Tokyo Disneyland has a fun and whimsical take on Christmas with cheery decorations and an energetic daytime parade, “Disney Christmas Stories.” The Haunted Mansion Holiday Nightmare overlay on the Haunted Mansion starts in September and runs until January 3, 2019. The “Country Bear Jamboree Jingle Bell Jamboree” is always a classic (even if it’s only in Japanese). The absolute highlight is the Christmas version of Tokyo Disneyland Electrical Parade Dreamlights (don’t miss this). 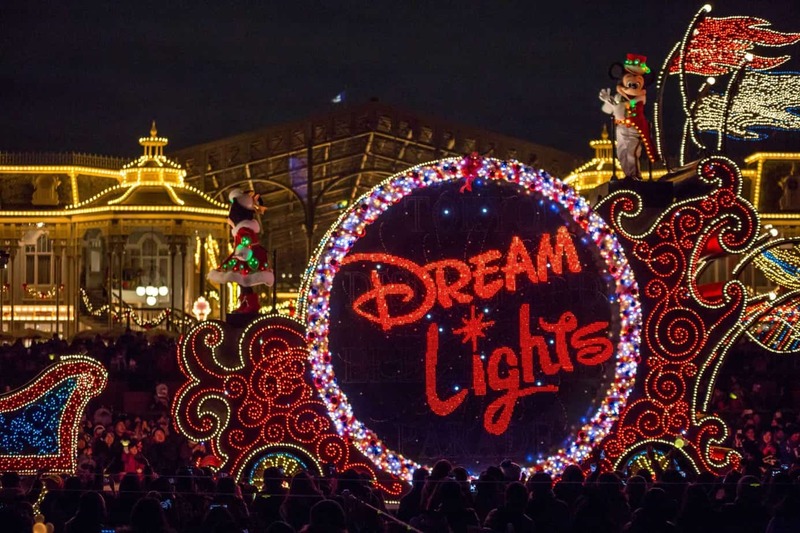 The Christmas version of Tokyo Disneyland Electrical Parade Dreamlights is one of the highlights at the Park! There are plenty of good spots to watch the Disney Christmas Stories and Tokyo Disneyland Electrical Parade Dreamlights parades. Grab a spot in Westernland, the hub area, or Tomorrowland in front of Tomorrowland Terrace about 30 minutes ahead of time. 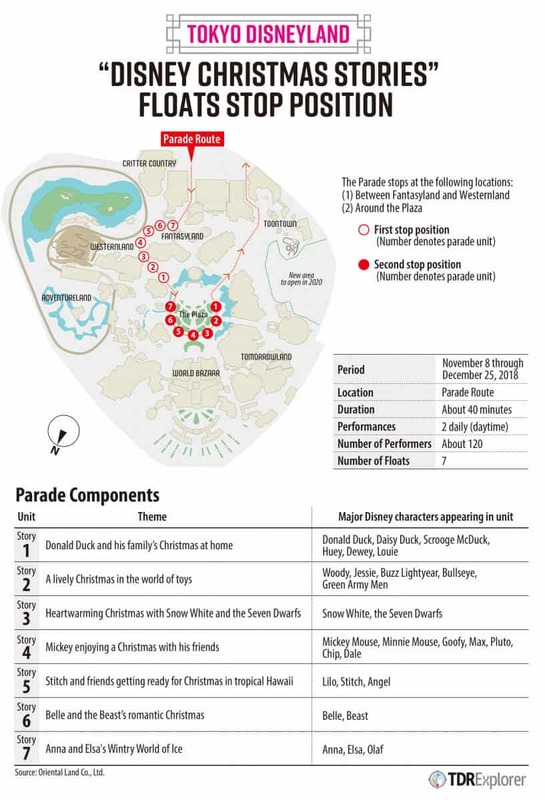 Disney Christmas Stories has what is called a “show stop”, where the parade floats stop and there’s a short performance. This show has two stops where you’re able to get good views of the different character. Our map below shows where the stops are and what characters are on which float. Pro Tip: If you’re into character photos, watch other guests with the large cameras to see where they go. These guests know all the best spots for photos. The bridge between Westernland and in front of Cinderella Castle is an excellent spot or just in front of the Haunted Mansion (where the parade starts). The best decorations are found in the hub area in front of Cinderella Castle (don’t miss the real Christmas tree at the back of the Castle, too). 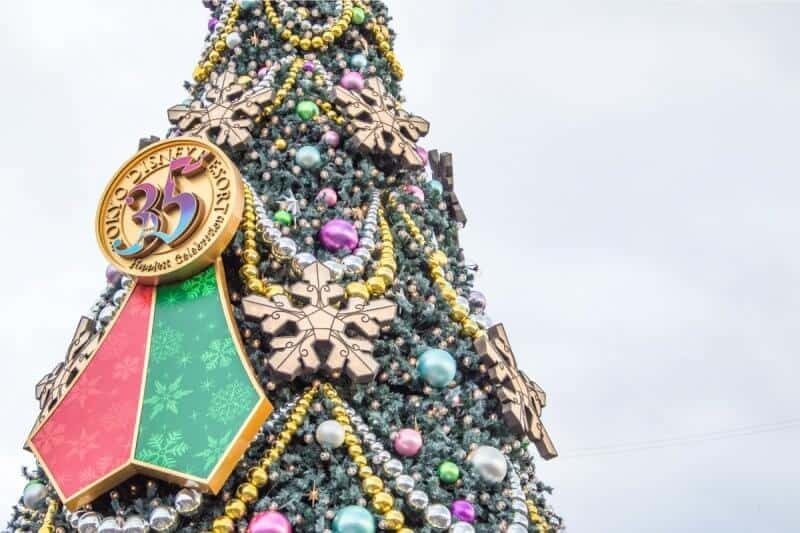 For the 35th Anniversary, check out the special Christmas version of “Celebration Street” in the World Bazaar. The Christmas atmosphere at Tokyo DisneySea is unmatched (in my humble opinion). When you have the best theme park in the world decorated for Christmas, it’s something truly special. Throughout the Mediterranean Harbor, American Waterfront, Cape Cod, and Lost River Delta are gorgeous decorations for the season. My favourite this year is without a doubt “The Three Caballeros” in the Lost River Delta. This time of year, I love to wander through the Park in the evening to soak in the lights. As an expat living abroad, you’ll miss aspects of home (naturally). Having a place that captures the familiar Christmas spirit so accurately is special and comforting. The evenings are the best time to experience Tokyo DisneySea with all the Christmas lights and decorations. Don’t forget to watch the short and sweet “Colors of Christmas” show in the Mediterranean Harbor. 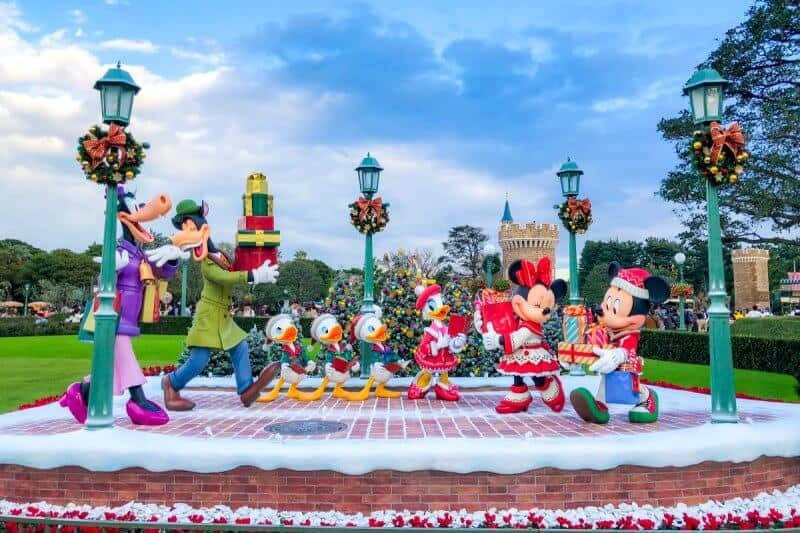 New for Disney Christmas 2018 the daytime harbor show “It’s Christmas Time.” At first I was a bit skeptical, but after experiencing the show, I’m confident in proclaiming this is the best show for Christmas at Tokyo Disney Resort. “It’s Christmas Time” features live singers, dancers, classic Christmas songs (even the one that Mariah Carey is famous for), and some of the most gorgeous costumes ever. 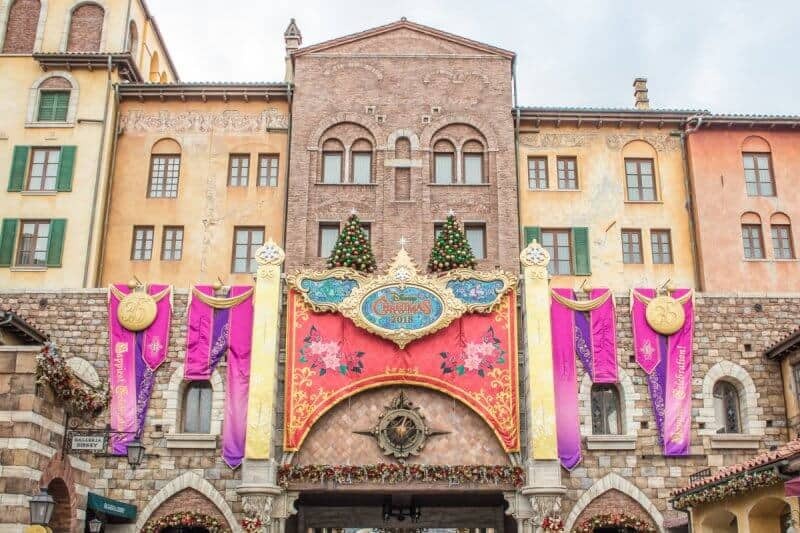 If you only have time for one thing at Tokyo DisneySea, make it “It’s Christmas Time” in the Mediterranean Harbor. The show happens twice daily (morning and afternoon). The best spot is in Mickey Square (the area you see when you first enter the Mediterranean Harbor), but this fills up quickly. I recommend the spot in front of Zambini Brothers’ Ristorante. The live singers belting out Christmas classics (It’s the Most Wonderful Time of the Year, All I Want for Christmas Is You, and Jingle Bells, to name a few) radiates the holiday spirit and you can’t help but smile. Adding to the excitement is the excellent dancing, detailed costumes, and appearances by Mickey and Friends (including Duffy and his band of furry allies). Do yourself a favor after you’re doing riding all the best rides at Tokyo DisneySea and get a prime spot for this show. Pro Tip: The best locations for character photos are the three main hub areas — Mickey Square, Lido Isle, and the small area just in front of Zambini Brothers’ Ristorante. You’ll have to grab a spot a good 60-120 minutes ahead of time to get the absolute best spots for photos. Check the official website and the entertainment guide when you enter the Park for times. 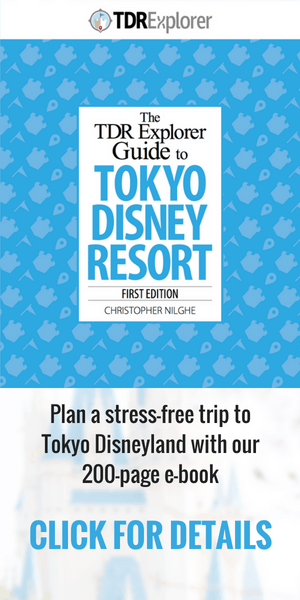 For more on entertainment, read our guides for both Tokyo Disneyland and Tokyo DisneySea. 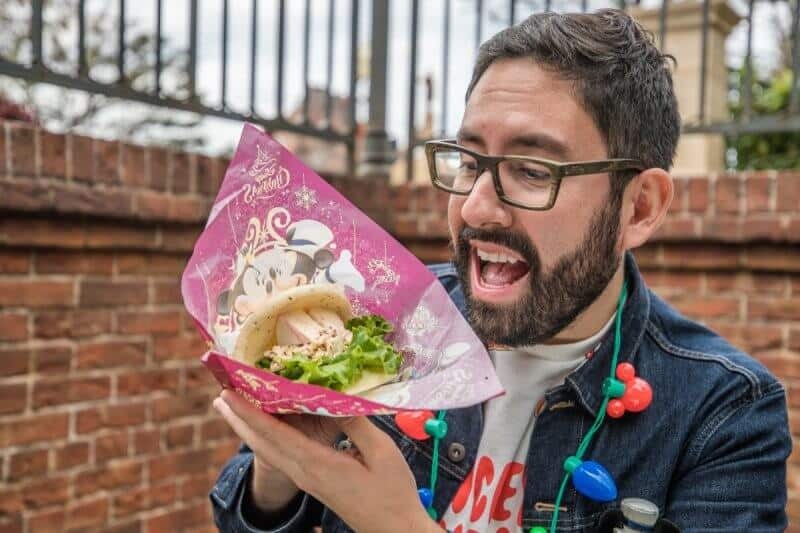 Now that you know what’s going on at both Parks, let’s take a look at one of the best parts of Christmas: all the special merchandise and food! It’s easy to find yourself eating all day while roaming the Parks. 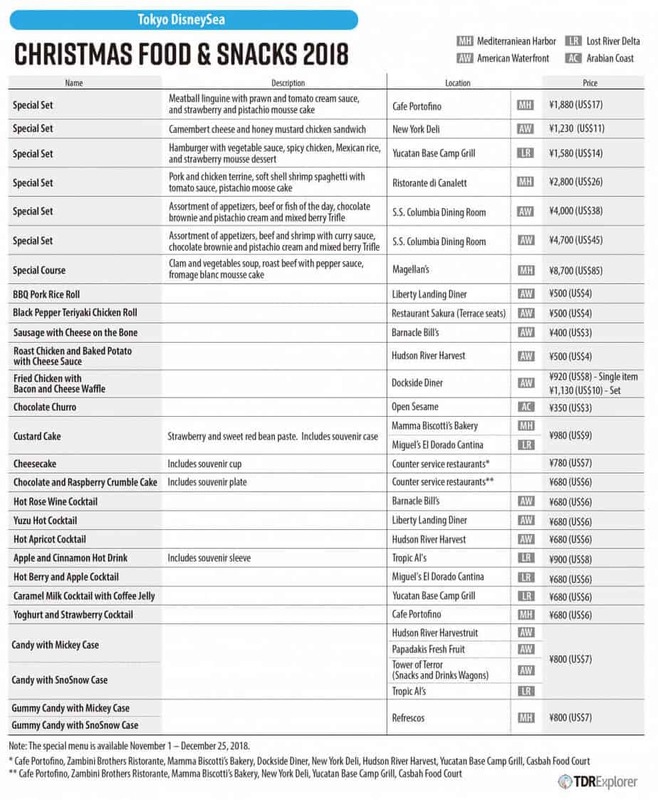 There’s a huge selection of food to choose from at Tokyo Disneyland, Tokyo DisneySea, and Tokyo Disney Resort Hotels (Learn more about hotels at Tokyo Disney Resort in our guide). 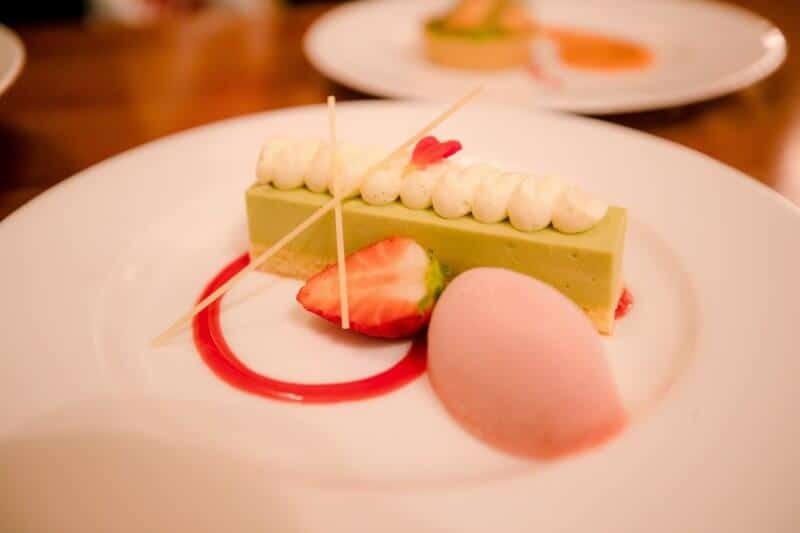 There’s a nice mixture of sweets and hearty meals to choose from. My favourite this year was the special set at the Eastside Cafe. 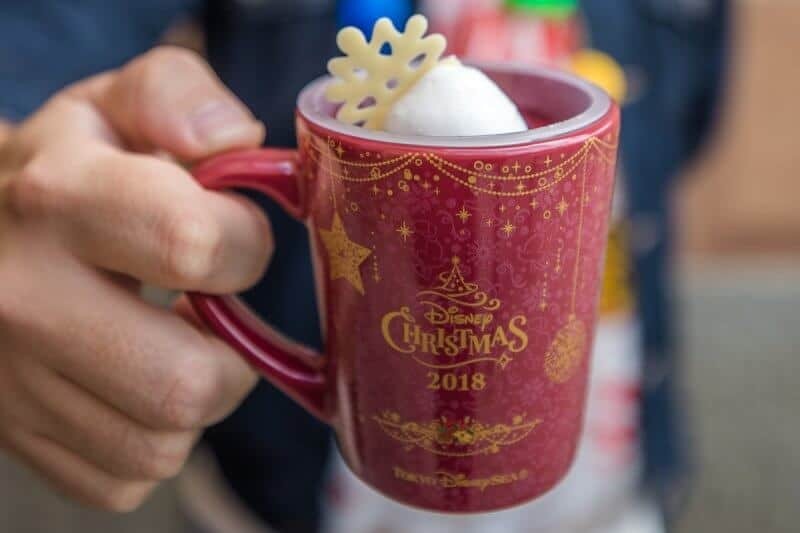 The video below showcases the snacks and food at Tokyo Disneyland for Christmas (including prices and where to find them)! 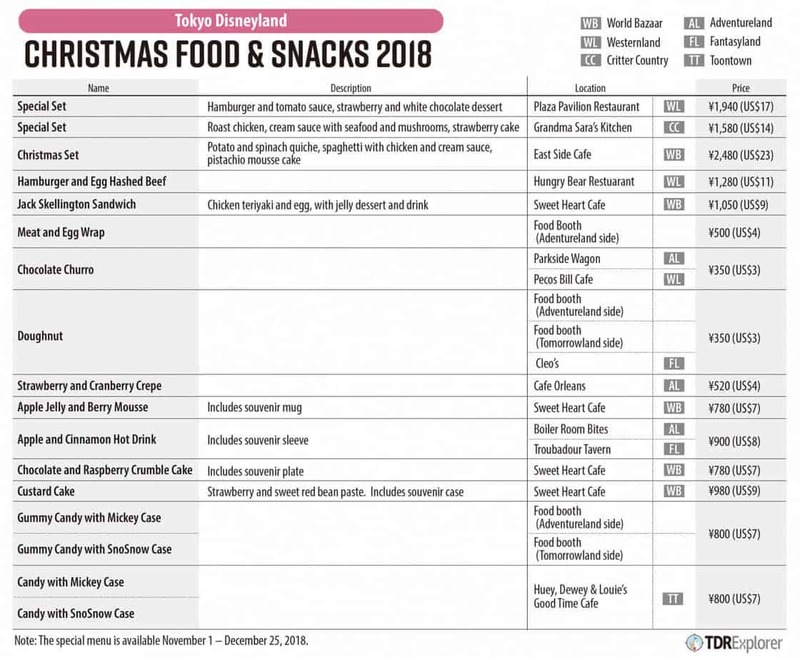 Click here to download our Tokyo Disneyland Christmas Visual Food Guide. 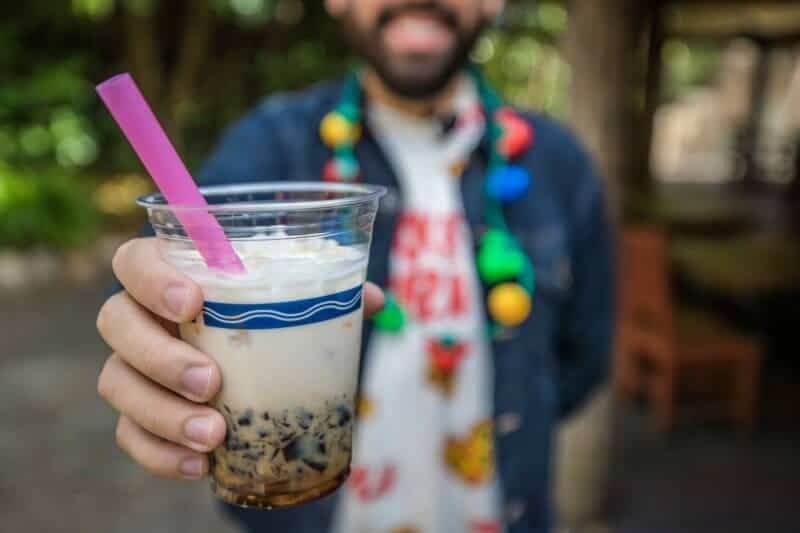 In addition to the array of snack and meal choices, there’s a new offering called “Tastes of Christmas” in the American Waterfront. This takes a snack-sized dish and pairs it with a hot cocktail (there are 5 dishes in total). This is a great way to sample a variety of food and alcoholic beverages. 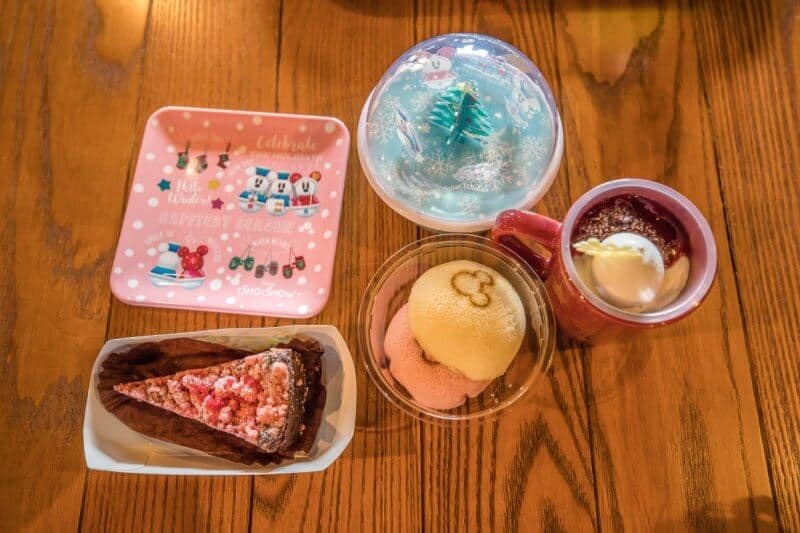 Click here to download our Tokyo DisneySea Christmas Visual Food Guide. Duffy and his band of friends have two ranges of merchandise for the Christmas and winter season. 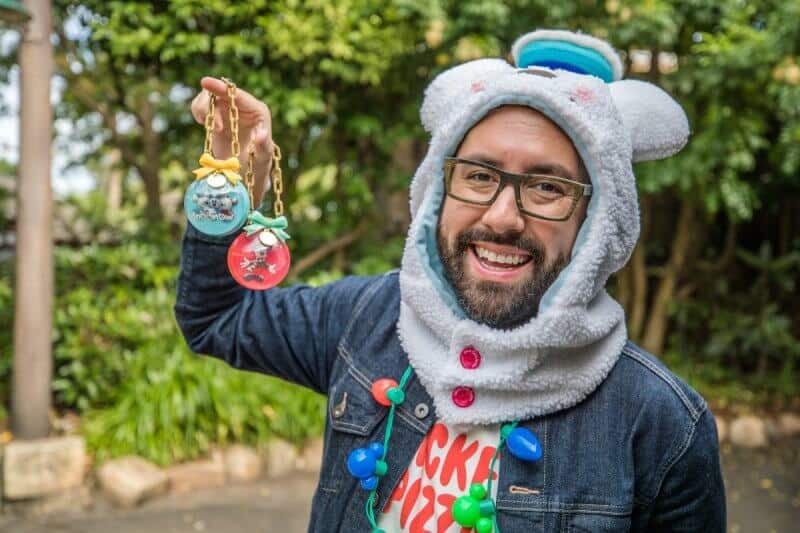 You’ll find these only inside Tokyo DisneySea at McDuck’s Department Store, Aunt Peg’s Village Store, and Galleria Disney. 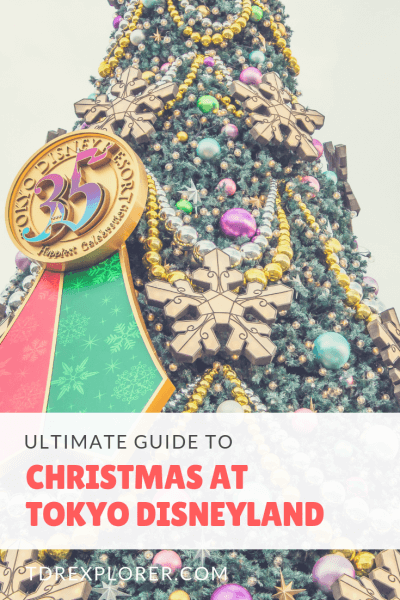 Christmas at Tokyo Disneyland & Tokyo DisneySea is one of the most festive times of the year to visit, if not one of the best. Follow our tips and advice and you’ll have a memorable experience.